Kamasi Washington in Montreal or Quebec City? Inform me about the next events for Kamasi Washington. Enroll yourself to our priority waiting list for Kamasi Washington to be alerted when new tickets are available. Filling this form doesn't engage you to any purchase. Kamasi Washington is coming to Montreal on June 20th, 2016, for a concert at the Metropolis. This will be Kamasi Washington's first concert in Montreal. 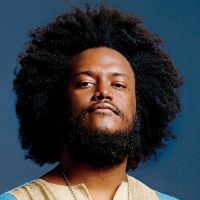 The jazz musician, who is well known in the indie circuit thanks to his collaborations with the likes of Flying Lotus and Kendrick Lamar, will be accompanied by a full band, to help reproduce the amazing funk sounds of his latest record, The Epic, released in 2015.